Through our assessment and diagnosis unit, clinical services will provide screening, identification, assessment, and diagnosis of ASD and other associated conditions on all children referred to the DAC for assessment, enrollment, and intervention purposes. 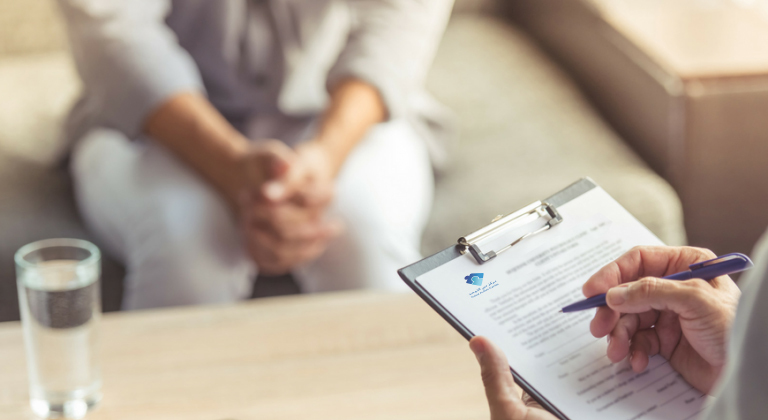 Our clinic serves the community as a full-fledged assessment and intervention unit that will use the latest measures in the screening, identification, assessment, and diagnosis of ASD and other associated conditions. Through our Learning Space, children with autism will receive educational and therapeutic programs both within and outside the classroom setting. With an in-house holistic curriculum, our special education program will be a a model educational program for educating children with ASD in UAE. 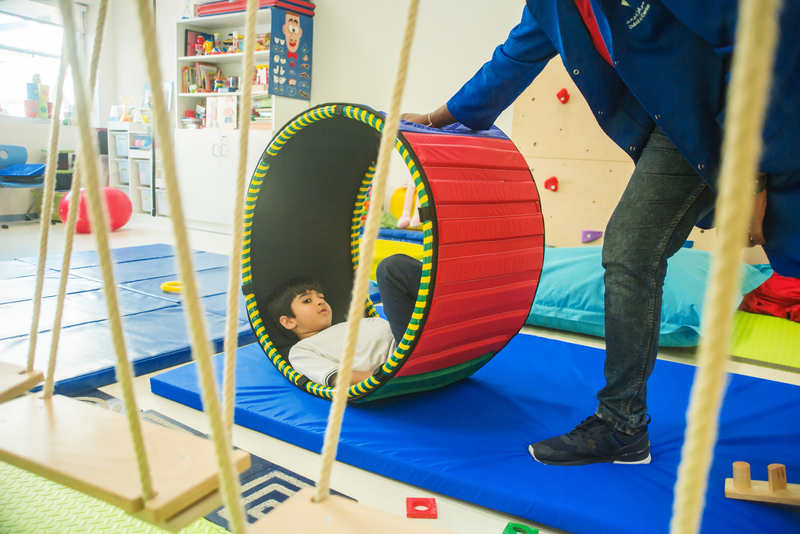 Each child with Autism at The Dubai Autism Center is provided with an individual educational plan (IEP) that is highly personalized to reflect the unique qualities of each child and addresses the child’s specific special education needs. Dubai Autism Center boasts of complying with international standards and providing intensive one-on-one sessions, with emphasis on developing communication and interaction skills, increasing attention, promoting ‘learning to learn’, establishing life, leisure and vocational skills and fostering independence. Speech and language therapy helps to improve the students’ overall communication, enabling them to improve their ability to form relationships and function in day-to-day life. Working with a speech and language therapist enables the student to articulate words verbally and non-verbally. The speech therapists not only assess the best ways to improve communication but also enhance a child’s social interaction and quality of life. Occupational therapy improves students’ quality of life at home and school. The therapist helps introduce, maintain, and improve skills so that individuals with Autism can be as independent as possible. Through analysis of functional ability, occupational therapy can improve everyday life skills involving cognitive, physical and motor skills and enhance their self-esteem and a sense of accomplishment.Through our Learning Space, children with autism will receive educational and therapeutic programs both within and outside the classroom setting. 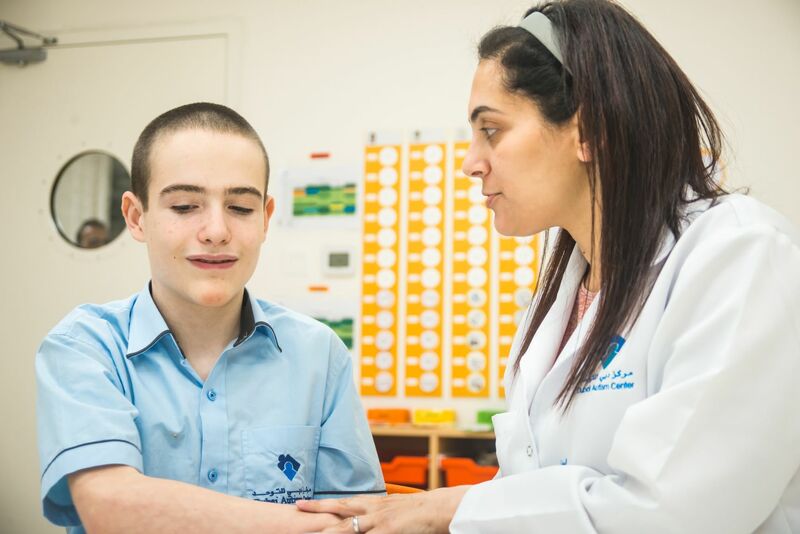 As the number of children diagnosed with Autism is increasing, it has bought home the fact that parents, professionals and caregivers need to develop their abilities to support children with Autism in the UAE. 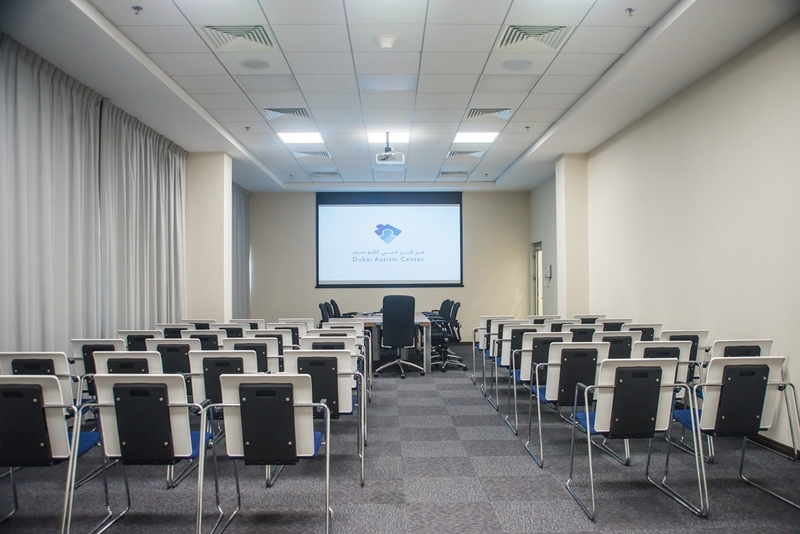 The center launched a training program with the tagline “gain and retain”. This project is to give professionals and families the opportunity to develop their technical skills and expand their knowledge of Autism.